I was lucky enough to be invited along to the opening of the new Rush Hair Salon in East Grinstead, West Sussex. ( unusual for a hair salon ) it felt uber clean and modern. 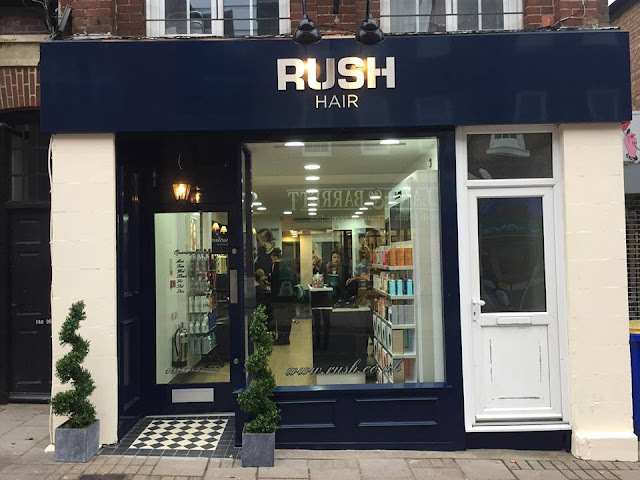 Franchisee’s Hannah & Jess, have both been with the company for four years, they started at Rush together, the 24 year olds are best friends and now have their very own salon, Jess was a delight to talk to, giving me the lowdown on their careers with the company and explaining how Rush are totally focused on progression in every way. I was presented with the little tray of delights, while Jess discussed what I wanted for my hair, I didn't want the style changed, but I do have quite a tricky cut which is easy to get wrong, I was led over to the basins where the magic began, Kerestace products were used and a deep conditioning massage treatment almost sent me into a deep sleep. 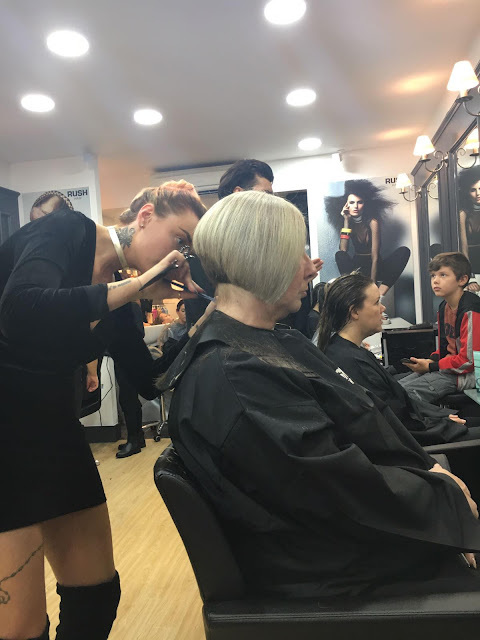 The salon use Kerestace, L'Oreal Professional and Redken products, they use all GHD styling products themselves and have a fabulous range of GHD on sale with some gorgeous Limited Edition Christmas sets. While Jess was busy cutting my hair it gave me a chance to look around and see what everyone else was up to, with 6 staff and an opening day the salon was packed, but full of smiling faces with a great buzz in the air. 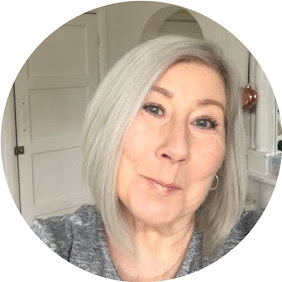 With my cut & Blow dry complete I was delighted with the condition and shine that has been produced from the treatment, and the cut itself was excellent.